The paper adds to ongoing debate on transfer of excess RBI reserves to the govt that has been a major bone of contention between the two parties this year. 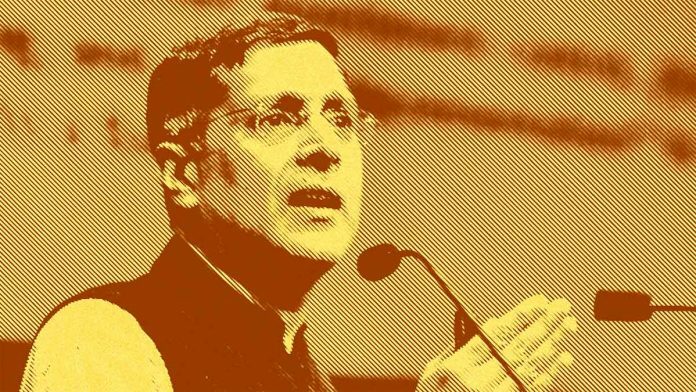 New Delhi: The Reserve Bank of India (RBI) has excess capital in the range of Rs 5.7 lakh-crore to Rs 7.9 lakh-crore, a new paper co-authored by former chief economic advisor in the Finance Ministry Arvind Subramanian has argued. The paper, titled Paranoia or Prudence? How much capital is enough for the RBI?, published in journal Economic and Political Weekly in its 8 December issue said the Indian central bank has very high levels of excess capital. “The RBI has an unusually high level of capital. If the choices made by other central banks are used as a benchmark, the RBI appears to have a minimum of Rs 5 lakh crore in excess capital,” said the paper. “An alternative cross-country econometric analysis suggests that the excess capital is even greater, between Rs 5.7 lakh crore and Rs 7.9 lakh crore,” it said. Abhishek Anand, research officer in the Economic Division of the Ministry of Finance, Josh Felman, director, JH Consulting and Navneeraj Sharma, an independent researcher, are co-authors of the paper. RBI is an outlier among major central banks when it comes to the ratio of shareholder equity to assets, it argued. The Indian central bank holds about 28 per cent in capital against a median central bank holding of 8.4 per cent. Shareholder equity is defined to include capital plus reserves (built through undistributed earnings) plus revaluation and contingency accounts. 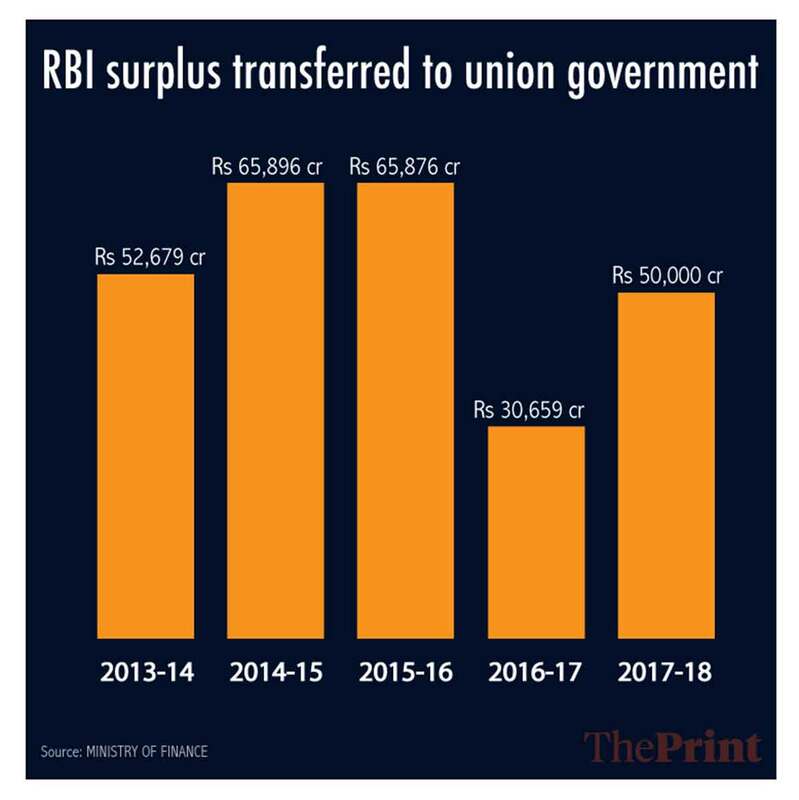 The new paper adds to the ongoing debate on transfer of excess RBI reserves to the government that has been a major bone of contention between the two parties this year. On 10 December, former RBI governor Urjit Patel resigned after a prolonged tussle with the Modi government over several issues, including the autonomy of the central bank. Former civil servant Shaktikanta Das was appointed RBI governor a day later. The government and the RBI have, however, decided to constitute a committee to arrive at the economic capital framework of the central bank. The constitution of the committee and the terms of reference are expected to be announced soon. The paper suggested that the excess capital of the central bank should be deployed for recapitalising state-run banks and paying off debt rather than used to finance budgetary spending by the government. “The fact of excess capital, of course, does not imply that this amount is simply available for the government to use as it likes… If the special dividend is instead used to finance budgetary spending, this would inflate the money supply, since the cash would be injected into the economy, rather than returned to the central bank,” the paper said. “This would create inflationary pressures and difficulties for the RBI. So, to be clear, transfers from the valuation reserves should only be used for operations like recapitalising PSU banks and retiring debt,” it added. Strongly advocating putting these excess reserves to use, the paper said that maintaining excess capital in the central bank can create an opportunity cost for society. Rs 33,000 crore to Rs 45,000 crore per year, based on current returns, g-sec rates and estimates of excess capital. Capitalising state-run banks will also help revive bank lending, the paper argued. The central bank has three types of reserves — asset development reserves for taking care of depreciation and other asset-related costs; a contingency reserve to take care of any unforeseen emergencies; and valuation reserves for dealing with volatility in foreign exchange holdings and government securities. As of June 2018, the total amount in these three types of reserves exceeded Rs 9 lakh-crore with more than Rs 6.9 lakh-crore in valuation reserves, RBI’s annual accounts show. However, valuation reserves are unrealised gains and cannot really be transferred, the central bank has argued. Further, valuation reserves are needed in the event of rupee appreciation. The paper disagreed saying that there is scope to transfer a part of the valuation reserves without endangering the RBI’s financial stability. It estimated that the current valuation buffer is so large that it could withstand a 30 per cent appreciation of the rupee, reaching a level around Rs 50 to the dollar. “Such an appreciation is exceedingly unlikely, for several reasons. To begin with, it would be historically unprecedented; an appreciation of that magnitude has never occurred in Indian history,” it said. “But more to the point, the RBI would never let such an appreciation happen, because it would devastate the economy’s competitiveness,” added the paper. It argued that central banks are needed to be prudent but “there is a difference between necessary prudence and excessive caution”. “Some valuation reserve is clearly needed, but a reserve that is far higher than any likely losses is surely excessive. And the current level of the RBI’s reserves is surely excessive,” added the paper.